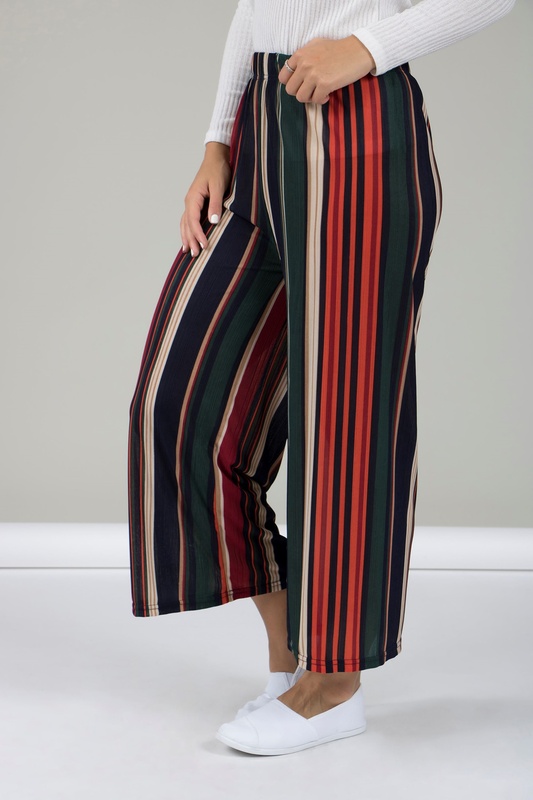 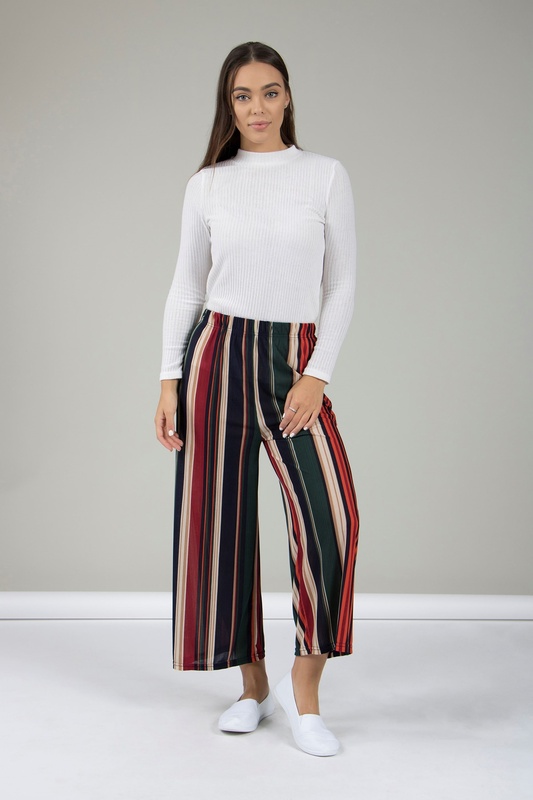 Cut from a gorgeous soft stripe fabric, these chic culottes can be styled up or down to suit any occasion. 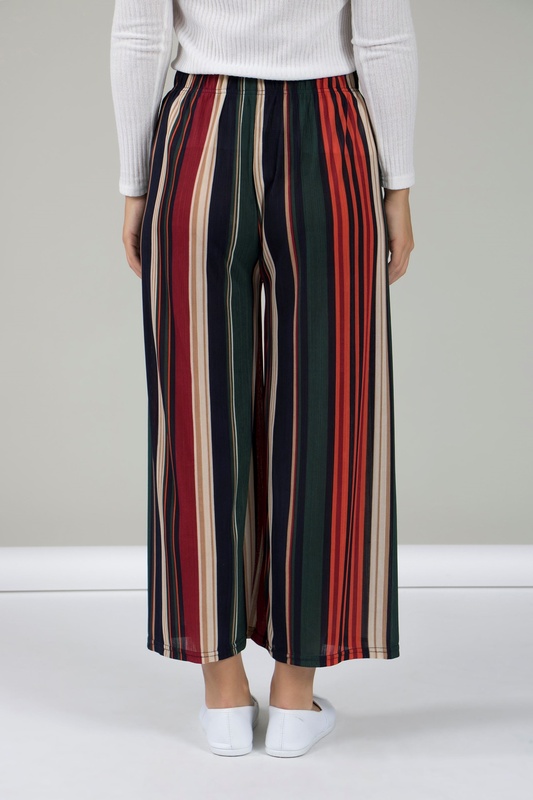 Features an elasticated waist and wide leg opening. 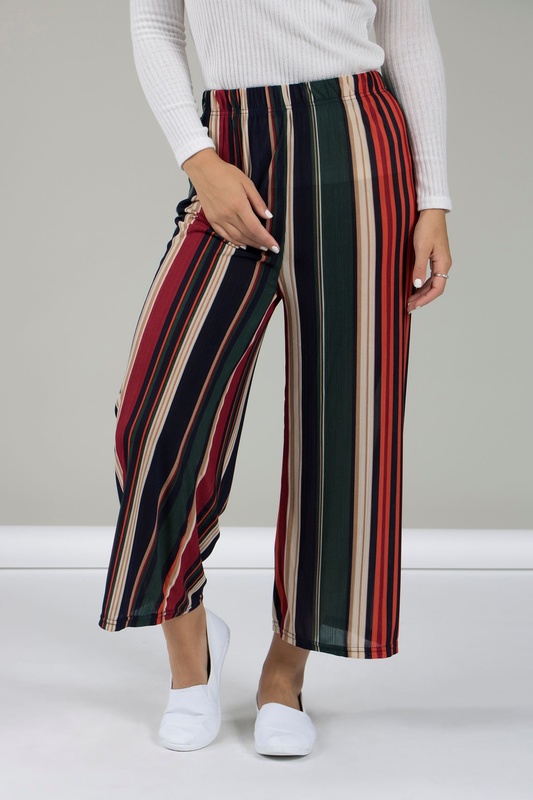 Balance the wide leg fit with a delicate cami and strappy heels.